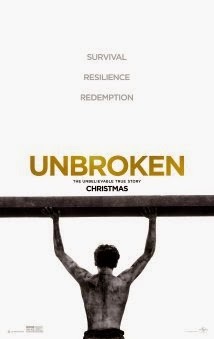 Showing this weekend at the Kingman Historic Theatre is Unbroken at 7:30 P.M. Fri(Jan 16) 7:30 P.M. Sat (Jan 17) and Sun at 5:00(Jan 18). This movie is rated PG-13 at starsJack O'Connell,Takamasa Ishihara and Domhnall Gleeson.